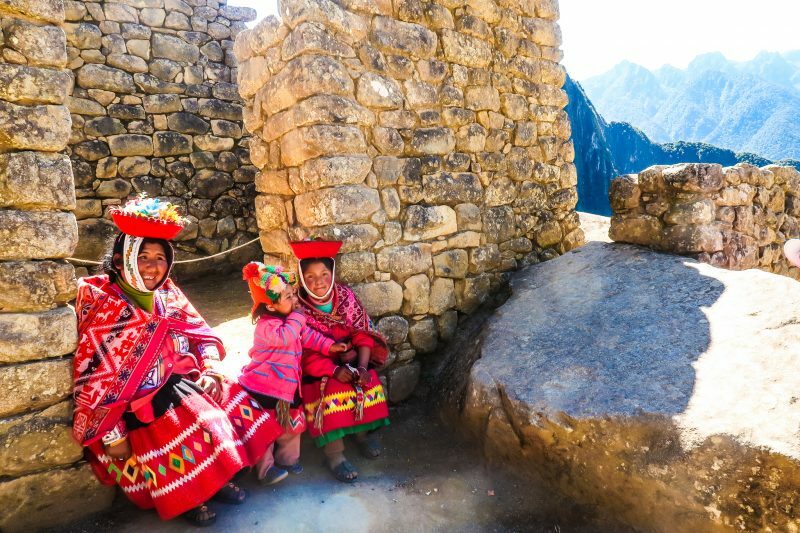 Peru is on a lot of people’s bucket list of countries to visit and for good reasons too! I can only try my best to provide a great representation of what this impressive country is like but you’ll only fully enjoy that experience when you visit. This country is great for all types of travelers: The foodie, The adrenaline junkie, The history buff, The cultural enthusiast, The nature and animal lover; seriously, this country has a lot to offer. So where do you begin? I’ve written a full proof Peru Itinerary to help you plan on your upcoming trip to this Andean country. It took me a month to put this all together, but I know my audience deserves the best. In this itinerary, you shall find top places to eat, activities to do and sights to see in over 6 locations. Enjoy! The city of Cusco and its surrounding area is like a mini country in of itself. There is so much to do in the Cusco area that I recommend 2.5 weeks (In the Cusco region alone) to fully enjoy it all. You’ll see why in a bit. Before visiting Cusco there is something very important to know. Cusco’s elevation! I personally call Cusco the city in the mountains. Cusco is 11,152ft (3,399m) above the ground. Flying from New Orleans (56ft) was a huge change in elevation and I had to find ways to cope with the changes. Due to the high elevation, locals recommend avoiding any form of meat. Beef, Chicken, Fish etc come to mind. Adopt a vegetarian diet and eat lots of soup. Mr. Soup offers the best comfort food and delicious soups. The meals served here are great for Cusco’s altitude. Try some of the best Peruvian vegetarian food Cusco has to offer. They provide quality service and healthy food. Customers love their veggie burgers and fries. Once your body has acclimatized to the altitude, you can now start enjoying some of Peru’s finest cuisine in the heart of Cusco. Peruvian dishes are mostly heavy on meat, you can see it by the huge size of meat served above. Pachappa is considered one of the best restaurants in Cusco mostly for its authentic Peruvian dishes. Here you can find Cuy, Alpaca meat, well-seasoned beef, and some seafood options. In addition, Pachappa also serves vegetarian meals. After all, its Quechua name “Pachappa” means “Earth Potato“. Look out for their scrumptious Papa en dúo de ocopa y huancaína, which is Potato mixed with creamy sauce, cheesy huancaína, and other local spices. All their vegetarian dishes have a green leaf icon by its side. Owned by the famous Peruvian Chef Coque Ossio, Map Cafe is a perfect place for a romantic night out or a great time with friends. Customers usually choose a three-course meal recommended by the Chef. One of Map Cafe’s well-loved Peruvian dish is the Capchi Setas. A creamy Andean mushroom soup. A bit on the pricier side, Cicciolina is a Peruvian-Italian fusion restaurant. You can enjoy a delicious pizza with a mix of Peruvian delicacies. The most loved dish at Cicciolina is their special Ceviche meal. La Valeriana is the most recommended cafe by locals. It’s chic, warm and the staff offers you a blanket while you munch on their many delicious sweets. This cafe also has toilet paper in their bathroom. This is a gem in Cusco. A traditional restaurant located in the heart of Cusco. Quinta Eulalia offers authentic Peruvian meals that are going extinct. Stop by the restaurant to find out more about these Peruvian meals. Of course, you’ll find the typical Cuy, Alpaca meat, Lomo saltado, and much more common dishes to Cusco. Cafe y Chocolate is a great breakfast and dinner place. Customers recommend their tea and lemon pie. Another added benefit of this cute cafe is its free wi-fi and great balcony view. A great restaurant to try menu del dia (a three-course meal) with traditional Peruvian dishes. This is a great place to have breakfast. They have great vegetarian options. At El Albergue restaurant you enjoy healthy food with farm fresh ingredients. Their scrambled eggs are to die for. It’s definitely a restaurant to visit. Inka’s house was an incredible restaurant in Urubamba that I got to enjoy lunch. The best part of Inka’s house is its buffet lunch whereby a plethora of scrumptious Peruvian dishes are served. Do nothing! I’m serious. The Altitude is so high here that every hilly step you take feels like you’ve run a 10k marathon. I suggest you take it easy and relax for a day or two. Saqsayhuaman is one of the historical sites awarded by Unesco. Here you’ll learn about the Incas brilliant engineering and their cultural lifestyle. You also get to see some Alpacas. *Warning* Some of the Alpacas there are bougie, there’s a high chance that they’ll ignore your existence. Cusco’s center isn’t huge. It can take you a day or two to discover most of what the city has to offer. As you walk through this gorgeous city, you enjoy it’s hilly cobbled stoned streets and observe how the Incan and colonial Spanish cultures are fused together. This can be seen in the food, the architecture and sometimes the way of life. To get unique Peruvian artisanal products, Cusco and its surrounding area are your best bet. There are tons of places to shop from in the city, however, the market with the best prices and quality products is San Pedro Market. You can bargain with the locals but note that the marketers are already offering their lowest price. If you don’t shop for any products, which I doubt will happen, make sure you try the Fruit bar. In the middle row of the market, you’ll find fresh fruit juice stalls. They sell fruit smoothies, with exotic fruits common to South America like chirimoya, and soursop. Sipping on the cold creamy smoothie made me pause and ravish on that moment. It was the creamiest and most refreshing smoothie I’d ever tried. Sometimes called the seven colored mountain, Instagram has definitely made this spot popular to the masses. It takes an hour or a 1.5-hour drive from Cusco to get to the hiking base. You later have to hike 3 hilly hours to reach the famous Rainbow Mountain. Depending on the weather, you might actually see the mountain as colorful as it is in the image above. With the perfect weather and temperature, a hike to the rainbow mountain is worth it. Flying into Cusco is a view in of itself, however, there are great restaurants and cafes where you can relax and admire the city. Spots like: Limbo Resto bar, Mirador de San Blas, Inkazuela, Mirador de San Cristobal, Plaza de Armas are a good start. If you are a history buff/nature lover/ you definitely don’t want to miss the Sacred Valley. This region is filled with evidence of the ingenuity of the Inca civilization. Here you can find the Saqsayhuaman ruins, The Salt mines, Textile Museum and many more. Hire a private taxi from Cusco to give you a tour around. If you aren’t into hiking but you still want to see one of the seven wonders of the world, a great option will be a day trip from Cusco. You can go by bus and train using PeruRail in the Wanchaq Station, Poroy Station or Estacion de comis a Ollantaytambo. All the trains stop at Aguas Caliente. From Aguas Calientes, you can either walk uphill for an hour to Machu Picchu or take a bus uphill that departs every 15 minutes from 5 am to 5 pm. Peru is big on festivals and Cusco has its own unique festivals celebrated every year. One of which is the popular Inti Raymi. See their calendar to plan accordingly. Ollantaytambo– Historic Incan ruins, Aguas Caliente. Chinchero– Stunning colonial church. It is also a city with many terraces for breathtaking views. Salineras de Maras– magnificent salt mines. One can’t visit Cusco without having Machu Picchu in mind. There are many methods in which you can pay homage to this sacred site. Either a one day trip as mentioned above, a 3-day trek, a 4-day trek, or a 10-day trek. There are options for every type of traveler. For more information about hiking Machu Picchu check out this post. Fun fact: Choquequirao is another site similar to the famous Machu Picchu. In the upcoming 5 years, Choquequirao will be the next hot spot. Scientists and archeologists haven’t fully discovered this place because much of it is still covered in the amazon forest. The little that has been discovered shows that Choquequirao is bigger and offers more historical information about Inca civilization than Machu Picchu. Owned by Lima’s legendary Chef Javier Wong. Chez Wong is known to offer the best Ceviche dish in the world. Yeah, you heard that right! Located in the residential neighborhood of Santa Catalina, Chez Wong blends right in with all the other houses. Chez Wong offers the freshest seafood meals in the country with Ceviche being the customers’ favorite, of course. With the title Chez Wong has made for itself, it’s no surprise that the meals there are pricier. However, that doesn’t stop customers from coming. Guests are always in for Chef Wong’s treat. The restaurant is only open for 3 hours during the day and entry is by reservation only. Siete Sopas (7 seven soups) as the name suggests, serves some of the tastiest soups in Lima. The Chef uses fresh ingredients local to Peru. Such as Yellow beans, Shambar wheat etc. A special soup is served every day and the lines from hungry customers never cease to end. The most recommended soup is the chicken soup or Sopa de gallina **Not Zabiha**. Siete Sopas is a perfect place to stop by on a cold day. This restaurant is a great place for seafood lovers. However, you can find delicious soups, causa, and pasta to enjoy from Punto Azul’s menu. Make sure to try their version of Ceviche. It’s their stellar dish. This cute and cozy cafe is perfect to chill or just read a book. The food served here is mostly international cuisines. Look out for their waffles and crepes, they are the customers’ favorites. La Mar is one of the top seafood restaurant for an economic price in Lima. It is owned by well-known Peruvian Chef, Gaston Acurio. The food and service at this restaurant here exceeds all expectations. Their Chupe (Soup) and Ceviche are a must have. Make sure to also try some of the scrumptious desserts offered. One is a sweet potato concoction! This is one of the best food joints I’d ever visited! The service was organized, the place was clean and the sandwiches were tasty! for more on Lima’s Food scene, click here. This site was built between 300 – 700 AD, Huaca Pucllana is a massive pyramid made of adobe bricks. It is a site, turned museum, located in Miraflores, Lima, Peru. Peru offers world-class cuisines, many of which lies in the heart of Lima. The capital city has a special twist of African, Japanese, and Chinese fusion with the indigenous Peruvian food. If you are a foodie, you’ve found your city! Take a road trip from Lima to visit the Island of Penguins and an Oasis. See below for more information. Every night the Parque de La Reserva in Lima showcases an interactive light show. The light show highlights the diverse culture of Peru. Locals come together to enjoy this spectacular show. The Museo de Arte de Lima is the most famous Museum in the country. It showcases expositions and artifacts spanning over 3000 years of history. You can also enjoy contemporary arts at the Museo de Arte Contemporáneo de Lima. Kennedy Park in Lima’s Miraflores is full of pampered cats. It’s a cat lover’s heaven. Cats of every breed walk majestically around the park (knowing they own it). It’s fun watching the cats play, sleep, eat, or just being cats. At night locals volunteer to feed the cats. Felines at Kennedy park are friendly however some of them can be a bit pompous, ignoring your existence just like the Alpacas. What’s a city without a “downtown” or city center? Check out Lima’s Plaza Mayor. It’s a historical plaza with colonial architecture. This plaza mayor plays a significant role in Peru’s history. So much so that it was awarded by UNESCO world heritage in 1988. Lima’s Plaza Mayor is a spot history buffs wouldn’t want to miss! A 6.5-hour drive away from Cusco would take you to one of Peru’s impressive natural sights. Puno is located by the Lake Titicaca. What’s fascinating about this city is its floating Islands. There are approximately 41 floating Islands surrounding Lake Titicaca. Each floating Island has houses and boats made of Tortora reeds weaved or matted to form a structure. You can find boats floating across the lake. Most of the locals by the lake are fishermen and the women usually weave the Tortora reeds. The locals sometimes perform a show for tourist in which the women sing and chant in either Spanish or their native indigenous language. Located 5 hours away (by car) from Puno is an immediate change of scenery. Arequipa is Peru’s second commercialized and industrialized city. Upon arriving Arequipa, you’ll stare in awe at the great Misti mountain (11,440 ft ) overshadowing the entire city. There are tons of activities in Arequipa to keep you busy. Visit Colca Canyon, one of the world deepest canyons. Check out historical sites that shape what Peru is today. Or simply sightsee and take your breath away by the city’s marvelous architecture. When I tell you that Peru is like a continent within a country, you’ll see why you need some time to take it all in. It has almost every landscape, weather, unique produce, and a wide range of animals recognizable around the world. So when you find Penguins in Peru, you shouldn’t be surprised. Ballestas Island comprises of 3 Island, 3.5 hours away from Lima. Huacachina is one of my favorite places in Peru that I never got to visit. The Youtube and Instagram videos were good enough to reel me in but unfortunately, I was short on time. What is Huacachina? It is a desert city surrounding a little lake. Basically an Oasis. They have activities that will make your time in this Oasis memorable. Activities such as Dune buggy rides, Sandboarding, Lake paddling and much more. Huacachina is a 4-hour ride from Lima. When I first saw the images from the Nazca Lines, I thought, “There’s no way the Peruvian indigenes weren’t giants”. It turns out that they actually weren’t giants but an incredibly smart and industrious civilization. The Nazca lines are a collection of giant geoglyphs. There are many theories from scientists on how these lines came to be, some even suggesting that they might have come from Aliens. You can view the Nazca Lines by a plane ride. THE Amazon jungle is spread across many countries in South America including Peru. There are many tours you can book to see the exotic animals and wildlife in the jungle. Here’s an intro guide on the Amazon Jungle to get you started. From Lima airport: Take Airport Express Lima, a shuttle bus that drops you by your hotel in the Miraflores neighborhood. $8 (one way); $15 (round trip). You can reserve a spot once you are at the airport. Click here on info for public buses in Peru. Taxi is a common form of transportation in Peru. However, you must be very careful. Kidnappings from fake taxis aren’t unheard of. Make sure that the taxi vehicle is marked Taxi and has the Peruvian flag color on the door side. If you are still wary ask for the driver’s taxi license documentation. For more tips on Taxi safety, click here. Also, many Taxi drivers would try to cheat you for the fare. Make sure you’ve both agreed on what you are going to pay before entering the vehicle. Uber is even more popular in Peru. In fact, many taxi drivers are uber drivers. Take safety precautions before getting in your Uber ride. Private Taxi is the best way to get a personalized tour of the city. Fare starts at no more than $40 per day. Peruvian hospitality is the best I’ve ever experienced. The staff is professional and you feel genuine care from all employees. They make sure all your needs are taken care of no matter how unique or peculiar they may be. Accommodation is pretty affordable for travelers in Peru. I enjoyed a 3-star hotel at Casa Andina Standard Miraflores which cost $30 per night. And let me tell you something, Casa Andina’s 3-star hotel was equivalent to a 5-star hotel treatment in the U.S. or many European countries. They had a real continental breakfast! If you prefer a more affordable option you can opt for Airbnb, Boutique hotels, or a hostel. Regardless of your choice, you are guaranteed to be treated well by the host. Those rainbow mountains simply look from out of this world. Would love to visit Peru one day soon, will save this itinerary for sure! I’ve been dying to see Peru! Your pictures make it look like such an awesome trip!